1986 Humvee original auction. After years of use I finally had to over haul my glow plugs, fuel lines to the injectors and batteries. After completing all that work I decided to do a start up and see if everything would fire up and there weren't any fuel leaks after replacing the small fuel lines. With the dog house off so I could view the engine I started it up. I noticed a fairly large arching coming from the bracket connected to the solenoid. What I found was my starter and the bracket that goes from the wires to the solenoid were completely pitted and the bracket that attached to the solenoid was literally free floating. Now the question is replace the solenoid and the damaged bracket or dump the money into a brand new unit all together. I turned the vehicle off and got under it and I could move the bracket by hand and when it touched the solenoid it would spark, This was with the engine off. What do you fellas think, I was looking on ebay, I found both whole units and replacement solenoids. What is the labor like to replace the solenoid on the starter and would it be better to just by a whole unit? Thanks for the response, the vehicle did start up but the arching was really concerning. 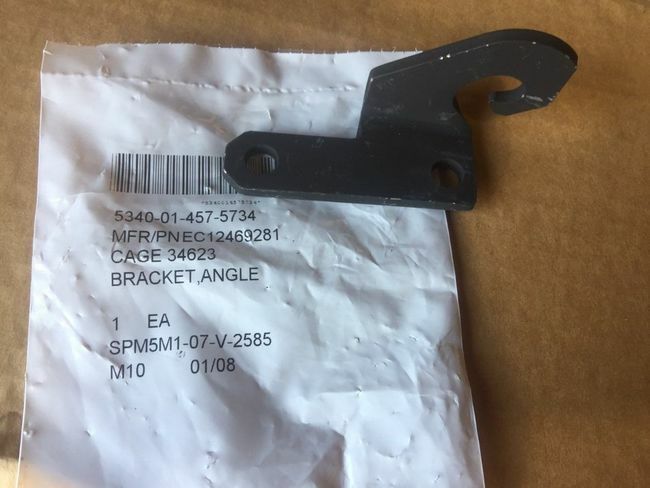 The post where the bracket attaches to the solenoid looks detached or really loose like the stem to the solenoid was pulled out or broken off. Cables from battery are in good shape some cracking on the bottom side from being old and probably heat from the engine. Quick question is the starter for the 6.2 the same as the 6.5? Same Starter as long as you are talking Humvee starters. Oh another thing, if you have a 6.2, you most likely have the early support bracket for the forward end of the starter. This little gem lives just inside the rear end of the engine mount "adaptor" and is important for supporting that heavy starter. It has a slot in it for you to slide the stud that protrudes from the starter so the nut can be tightened down onto the bracket. Almost a two man job to hold the starter up then get the two rear starter bolts started. Later Humvees have a modified front support that has a sort of a hook at the bottom so you can place the stud into it and then leverage the rear of the starter up and more easily install the rear bolts. It is a bit of a job to install this new type support bracket, but if you ever think that you may be messing with the starter again, well worth it.